So it's starting to look like it's very likely Brain Williams will lose his job for being a liar. He made up a story to make himself look better. That's all it is, and he just might lose his job over it. I am fine with this. He wasn't swapping stories in the company break room with coworkers about what they did over the weekend. He was telling a national audience that he was part of a newsworthy event. Now if he simply told some friends his story, I couldn't care less nor would anyone else. But a completely made up tale is not someone who's job is to convey accurate, creditable information to the public should be conveying to the public. Someone in that position needs to be held to higher standards. The very position they have causes people to trust the information they present to them is truthful and accurate. If someone in that position betrays the public's trust by telling them a fictional tale of being aboard a military helicopter that was forced to make an emergency landing due to being fired on in a warzone; that person needs to lose his job. Immediately. 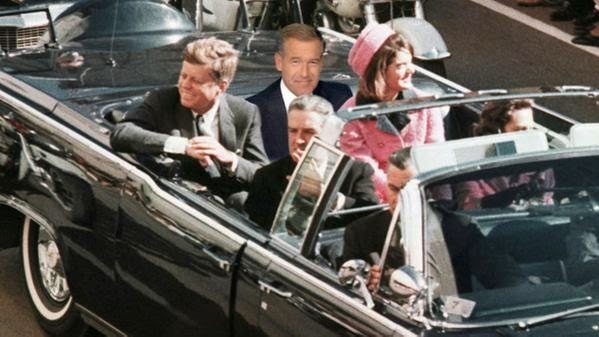 Hopefully Brian Williams loses his job in the very near future for blatantly lying to the public for his own gain. Then hopefully we start holding our politicians to the same standards we hold Brian Williams to.